With so many remakes coming out these days, it's kind of reassuring to know that at least one of them isn't a stinker. RoboCop (2014) is the re-imagining of a much beloved classic from the Reagan era days (1987's original with the same title). 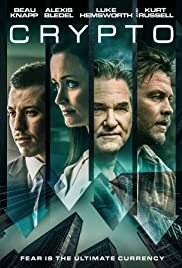 Brazilian director Jose Padilha, a first timer shooting something in the states, confidently fashions a slick, well paced, intelligent, and thought provoking crime picture that boasts a terrific cast. Now I will say that this RoboCop of 2014 is anything but perfect. It is at times emotionless, it has some glaring plot holes when it comes to the actions of the Detroit Police Department, and it bypasses some key plot points by whisking from one scene to the next. However, what looms for roughly two hours, still manages to be ultra cool with cynically cool characters. Most of them possess a hammering amount of dry wit and narcissistic overload. Therefore, I can't say that I wasn't surprised or for a better word, royally entertained. Paying homage to 1987's original by way of its opening theme music and written by the guy who was brought in to fix the script for 007's Quantum of Solace, RoboCop examines the life of crime fighter and doting father, Mr. Alex Murphy (played by Swedish actor Joel Kinnamen). While off duty from his job as a detective for the Detroit P.D., Murphy goes out to his driveway to check his car. As he opens the door, his vehicle explodes and he becomes not only paralyzed but also disfigured. 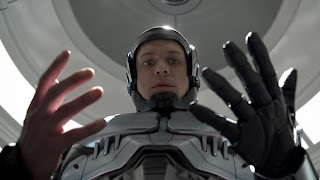 As a sort of salvation tactic, Murphy is given a second chance by a corporation called OmniCorp. Their solution: make him into the ultimate law enforcement cyborg by adding a robotic body frame to what he already has left. As things move along and Murphy becomes Motor City's go-to crime fighting machine, he also begins to come off as less than human all the while being alienated from his family and most of the outside world. This happens throughout until he gets back his conscience and starts to try to solve his own attempted murder. Now in a recent interview, Padilha said that he was bent on being faithful to the origins of the popular 1987 release. He also stated that he was a fan of said vehicle which sounded awfully refreshing. As it stands, I haven't seen the first RoboCop in ages. I do remember liking it but not loving it. I became a fan of its director (Paul Verhoeven) only years later with the emergence of 1990's Total Recall. What I vaguely recollect is that the special effects weren't as advanced back then as they are in this reboot. Also, there is a deeper level of storytelling featured here along with a more modernized dose of computer gimmickry (oh and the 2014 version has RoboCop featured in black armour as opposed to silver). In fact, I love how this remake has something more beneath its surface than just action. At almost two hours, things consists of mostly build up and/or set up. The characters are well established, the rules are in play, and the blueprint for what is about to unfold is done in a ominously effective manner. But lets focus on why people buy tickets to see films like this. They do it hoping that what's on screen is a promise to deliver visceral, action packed shootouts/fistfights. To a degree, RoboCop is pretty violent despite its deceptive PG-13 rating. Probably the only reason why it didn't garner an R is because this violence is penetrating yet bloodless. The action scenes staged by Padilha, project a sort of a small scale version of the Transformer movies (pick any one of them). And he also internally channels the vapor from the Terminator flicks by showcasing the way Kinnamen's character fires his weapon and burns rubber on his sleek motorcycle. Speaking of Kinnamen, there are some critics that have noted that he seems wooden and stiff in the lead. I think he does an adequate job (he plays a darn robot for much of the proceedings so why would he bother to emote at all). He meets the physical demands of the role, he's tall (almost 6 foot 3), and looks almost similar to Peter Weller from the original. Basically, he does what's required being nothing more, nothing less. To be honest, the movie doesn't necessarily have to succeed because of him. It glides by on its seasoned cast which for the most part, is as strong as any that I've witnessed in a full blown action extravaganza (the only weak link being Jay Baruchel who seems out of place providing the so-called comic relief). Michael Keaton is at his smarmy best portraying the shallow CEO of OmniCorp. Then there's Gary Oldman who plays it straight and sympathetic as RoboCop's doctor and ultimate creator. Samuel L. Jackson, getting to act like well Samuel L. Jackson, is a modern day TV evangelist. He only seems interested in spouting off about the crime world and he's a hoot doing it with a series of public service announcements. In a smaller supporting role, we have Jackie Earle Haley (Rick Mattox) as an arrogant, smug weapons specialist who with utmost resistance, trains RoboCop. He really has a lot fun hamming it up throughout. Finally, we get Abbie Cornish playing RoboCop's wife. Her character wasn't featured in the late 80's installment. Back then, Weller's Alex Murphy befriends a fellow cop in Nancy Allen and that was the closest thing we had to a love interest. Anyways, Cornish again dons her Australian accent for an American one and turns in an effectively rote performance even for your typical remake. 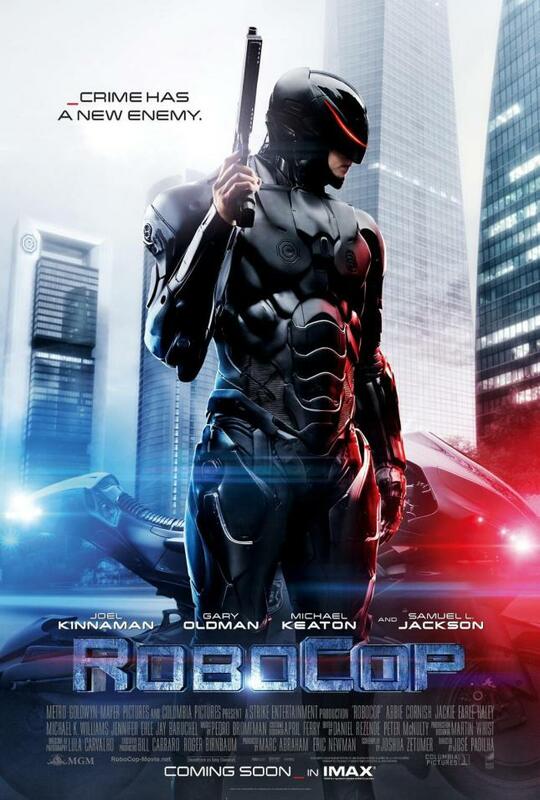 Overall, whether or not you think of this as a remake, the new RoboCop succeeds almost primarily as its own movie. And as expected, the bulk of the narrative projects signs of an inevitable sequel. Now I've heard stories about how bad RoboCop 2 was back in 1990 so let's just hope that history doesn't repeat itself. Bottom line: this is undoubtedly the best film to be released so far in 2014. And as a lean, mean, slam-bang actioner, RoboCop truly does not "cop" out.